We Can Design For Any Ideas You May Have in Mind! Announcement Choose from Our Designs, Submit Your Own, or Have Us Design for You! We have been overwhelmed with orders, messages, shipping, and the support we have received on Etsy. We are completing orders as quickly as possible in the order in which they have been received and responding to messages as soon as possible. Please read the listing information and our shop policies before placing an order. If you are familiar with the Etsy messaging system, we encourage our customers to message at any time and we respond to messages in as timely a manner as possible. As many customers are unfamiliar with the Etsy messaging system and to reduce the number of emails associated with each purchase, we are not messaging customers proactively unless a message is received or a proof requested at the time of purchase, but we are always happy to assist. We hope you appreciate our work as much as we appreciate your business. If you are getting married, Design's the Limit is also on Etsy at Design's for Eternity! Get the perfect gifts for your wedding party and add us to your Etsy Gift Registry! We have an entire section of our shop devoted to couple's monograms for the gifts you get for yourself and we fulfill bulk orders for the entire wedding party with individual personalization! "Don't take our word for it, read our reviews!" We are socially active members of the Etsy community who love to message with our customers and offer free estimates for any order request available. Choose from Our Designs, Submit Your Own, or Have Us Design for You! Order was correct, quality is fantastic. We specialize in sandblasting barware includingnour cystal decanters for a deep sand carved appearance. Design's the Limit's own Custom Vine & Circle Monogram Ampersands Available! Design Your Own Matching Decanter Set including Lowball, Highball, Ice Stones, Coasters, Shot Glasses, & More! MONOGRAMS by Design's the Limit Proof are submitted as shown with black text representing the engraved area. Get social @DesignstheLimit or Call (757) 474 - 5554 for assistance. Working to encourage environmental education and conservation, we are supporting the arts, science, education, and our community with our talents and abilities. We began this journey when my wife Tatiana, the artistic talent behind our success, displayed an interest in learning how to create sandblasted glass. Under the tutelage of a retired Navy Chief, she purchased, set up, and now maintains her own sandblasting equipment including a sandblasting cabinet and a room with easel for larger works. Her natural talent for the arts led her to continue to develop on her own, purchase educational resources, and train to become comfortable and familiar with the equipment to learn additional techniques which could be employed. She began creating sandblasted glass artwork in 2006 to complete a custom design request and after devoting the time to seeing the project through to completion, Richard completed the glazing and installation. After completing her first piece of glass art, she has continued to create works for residential, commercial, industrial, and military applications. During this time, Tatiana transferred to Old Dominion University to pursue a degree in Fine Arts with a major in graphic design. In pursuit of her degree and during her continuing education, she experimented with smaller works to create more portable and affordable artwork. She participated in a number of events, hosting tables, and sharing her finished works with the public. She also developed a fascination with developing technologies leading us to purchase a laser engraving system. Once she became familiar with capabilities, She opened an Etsy shop to explore the possibilities. She began to experiment with various materials and ideas to provide personalized gifts combining the educational skills she had learned up until that time with the artistic abilities she has developed. Before graduation, the amount of orders she was receiving on Etsy had become more than a full-time job. Inspired by her accomplishments, both Tatiana and her husband Richard, 'Quit Their Day Jobs,' and started Design's the Limit. We have been happily self-employed ever since creating keepsakes for our customers on Etsy and works of art for our customers in Virginia and beyond! Tatiana is a lifetime student of the arts constantly expanding her portfolio of talents and specializes in bringing inspired designs to life. She also displays her talents in woodworking with a combination of carpentry and fine art techniques by application. She works with stone, wood, and other materials to combines her talents and our capabilities. She labors continuously to continue her education, create new designs, explore new techniques, to increase the complexity of the carving processes she employs, and to continue to create sandblasted and laser engraved artwork. Richard is a supporter of the arts and the handmade movement who encourages Tatiana to push the boundaries of her artistic expression. Having graduated from Tidewater Community College after a wide range of elective studies, Richard specializes in providing the customer service to match his wife's talents and the inspiration to encourage her to continue to push the boundaries of art. His studies in business, philosophy, and ethics have allowed him to communicate the customer's desires and to deliver beyond the customer's expectations . After years and milestones overcoming the challenges of starting our own business, we decided to explore the art exhibition community and we joined the Virginia Glass Guild. At Design's the Limit, we accept custom order requests and offer various sandblasting methods for every application and provide our artistic services to customize flat glass or mirror including tempered and laminated safety glass. Sandblasting annealed glass allows us to provide more than a two-dimensional design, we deboss glass and mirror to a minimum depth to allow us to provide our design services on safety glass, but we also employ a deeper sand-carving technique which allows us to provide a three-dimensional carving incorporating multiple layers for a more intricate and detailed design service. Thicker glass provides us the ability to engrave to even greater depths and depending on the customer and the application, but Tatiana has also developed experience with shading and providing a sand-frosted appearance to highlight particular designs or to create a desired effect. We work with all types and thicknesses of glass and mirror and every order is a custom order at Design's the Limit. We are living the American dream, expressing our artistic desires, making unique creative designs for every special occasion, creating personal gifts that our customers will appreciate for years to come, and enjoying what life sends our way! Design the time to make every gift giving opportunity into a personalized gift giving experience to remember. From our beginning in the commercial glazing industry, through our years becoming a top seller on Etsy in support of the handmade movement, to becoming members of the Virginia Glass Guild: To Support, Advocate, and Advance Public Awareness of Glass as an Art Form, we continue to grow as artists and entrepreneurs. We are free spirited artists who love to create and have turned our passion into a purpose. We wish to inspire conversation and promote education of the most important issues of our time and give voice to the concerns of flora and fauna unable to speak for themselves. As we have transformed into exhibition artists, we are able to create designs without a customer in mind and our work is inspired by our desire for a beautiful and vibrant world for our children to inherit. To show the harsh reality threatening that future without ambiguity, we have chosen the theme and design of each work to make an impression on the viewer. We desire to create even more socially-inspired and environmentally outspoken glass artwork to share our talents with the world, inspire thoughtful conversation, and encourage environmental conservation. We specialize in and are deeply passionate about works involving the preservation of biodiversity, encouraging environmental sustainability, and highlighting the actions of humankind on the natural world. Tatiana - Graphic Design Artist with years of experience designing and personalizing items big and small. Tatiana offers customers the choice of purchasing products with her designs and she is always ready to accept a custom design request. Richard - General Manager with years of experience in business management and customer service, Richard offers customers an eye to bring their dreams to reality and an ear to bring their gift ideas to their doorstep. Are the Cutting Boards Food Safe? We do not add any product that is not considered food safe to the surface of any of our cutting boards or cheese boards. We recommend cleaning your products thoroughly when they arrive before using and accept no liability for the products we sell only the artistic service we provide. Do not submerge cutting boards or cheese boards in water, surface wash with damp cloth with water only. Do not clean with any substance other than water and do not put in the dishwasher. Submerging wood in water or running through the dishwasher will cause the product to warp or crack. Recommend applying food safe cutting board oil on a semi-regular basis to extend the life of the product. Additional information available on request. Is the Glassware Dishwasher Safe? 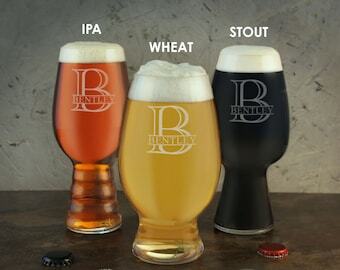 Our glassware is permanently engraved, etched, and/or carved. Our designs will not wash off and glassware may be cleaned in a dishwasher although we recommend hand washing as the preferred method. They are dishwasher safe, the engraving is permanent, and the designs will not come off. However, some dishwashers and some dish detergents will leave small scratches on any glass and hand washing is preferred to extend the life of the product. More elegant glass and crystal should be hand-washed to protect them from breaking regardless of whether they are engraved. We recommend hand-washing with warm water and a soft, non-abrasive sponge. We put a lot of effort into creating our art, so we hand-wash them before packaging and recommend our customers wash them before use. Can I Specify the Handing or Alignment of the Engraving? Yes, if you specify that you would like your item for left or right handed and state inward or outward orientation for glassware with a handle, we will fill your order as you have requested. Unless the customer specifies the desired handing at the time of purchase, we typically complete orders as shown in the main product image, but also reserve the right to complete each order as we see fit depending on the characteristics of the canvas available. You can specify handing, orientation, alignment, or direction for any order at the time of purchase or before your order has been completed. Do you engrave glass in color? Engraving is included in the cost of our product listings, but colorfill is available for an additional charge on specific items. We do not add anything to the glass, but rather deboss the surface to reveal the design we have prepared for you. For our glass and crystal engraving, all of the design will be engraved on the exterior of the glass and appear white or frosted onto the glass with the feel of embossing due to the differences in the smooth surface surrounding the engraved area and the texture of the engraving. We offer the additional service as an option with a deep-sand carving to which colorfill may be applied for an additional charge on specific items in our shop which have the required thickness for the request. Message us for further details, we love custom order requests. REQUEST A PROOF AT THE TIME OF PURCHASE, Proofs are available for no additional charge on request and you can include any other special requests in the notes during checkout. Due to the volume of orders we complete, the number of customers who checkout as a guest or are unfamiliar with the Etsy messaging system, and to reduce the number of emails in your email box, we may not message you, but we are always working to complete orders as quickly as possible with the information provided and are happy to return your messages in a timely manner while your order is being completed or for any questions about our shop, policies, products, services, or your custom order request. Request a proof at the time of purchase included with the text to complete your order, specific font requests, or any other information you would like to include and we will submit the design before completion if you have any questions or concerns about the design or information submitted. Place your order at this time by completing the options including your choice of product, quantity, and design options from the drop down menus. Include additional information in the notes in the next step of the checkout process in a small text box provided. If you would like to request a custom order or have any questions about the available product options contact us by clicking the REQUEST A CUSTOM ORDER AND HAVE SOMETHING MADE FOR YOU! We respond in a timely manner to conversations through the Etsy messaging system and look forward to messaging with you. STANDARD Monogram Description: Monogram with the First, Middle, Last Initials in sequential order and with equal font size. TRADITIONAL Monogram Description: Monogram with the First, Last, Middle Initials in order shown with the Last Initial of greater font size in the center. COUPLES: Monogram with the last initial in the center of greater font size and each couple's first initial on either side of the last initial. We can substitute an ampersand or other symbol for the last initial. If a monogram is specified, we complete orders with Traditional or Traditional Couple's Monogram with the Bride's First Initial, Last Initial, and the Groom's First Initial unless otherwise specified. Additional monogram options in our portfolio are available for any product in our shop on request and we specialize in graphic design to gift wrap custom order requests for every occasion! FORMAT YOUR DATE: Include a date in the notes as you want it to appear on the product you have selected. Design's the Limit will complete your order with the date you have entered into the notes to seller either as you have entered it, as it appears in the main product image, or as presented in the design option you select. Unless the word Established or a specific format is requested when you place your order, we reserve the right to use creative license to complete your order. Established can be included in any format. Please specify the formats you prefer and the layout requested in addition to entering the date if requesting other than what is shown in the main product image or design. DESIGN SERVICES (Click left/right arrows on main product image) Choose any design, substitute any font from our selection, and add any of our design elements to your order to make your design personal to your taste. Personalization including a design option found on any of our other listings is also available on request. Select your choice of design from the drop down menu or select CUSTOM for other design requests including design and font combinations. CUSTOM DESIGNS AND IMAGE SUBMISSION: Custom may be selected for name or initials without design option, but other special requests may require an additional charge not included in the main product listing. Submit your own images by emailing us your image to info@ designsthelimit.com for completion and include our design fee with your purchase and we will create a line drawing for you. COMMISSION A DESIGN: www.etsy.com/listing/186169097/design-fee - Design fee may be waived if preauthorized by email with a vector line drawing submission or other exceptions. Custom order and special requests are available by clicking on the "REQUEST A CUSTOM ORDER...." bar below the main product image. Submit a custom request for any occasion from custom theme designs to any other ideas you have in mind. Design's the Limit GIFT SERVICES including PROOF REQUESTS: If you are not 100% sure about the design option you have selected, the font you have chosen, the design options available, the information you have submitted, or just wish to see the design before it is completed, request a proof at the time of purchase and we will submit our design for your approval before completing your order. If you do not request a proof at the time of purchase, check the information you have submitted with your order twice as customers are responsible for spelling errors, missing or incomplete information, and requesting a proof at the time of purchase. Proofs are available on request, but submission and approval process may affect expedited completion. GIFT RECEIPTS AND GIFT NOTES: You do not need to request a gift receipt. As so many of our products are shipped directly to the gift recipient, we do not send a invoice and packing slips do not display pricing. Make your personalized gift a personalized gift giving experience, you can purchase a gift card and include your personal gift message in the notes to seller on checkout. GIFT WRAP REQUESTS: Gift wrap is available for any of the items we sell. Click "Request a Custom Order," and we will create a custom listing for you including gift wrap. Specify if you wish to have each item gift wrapped individually or any other instructions. Gift wrap, when purchased in conjunction with a rush order listing, will delay completion and the ship date for most orders. SAND-FROSTING: www.etsy.com/listing/502510472/custom-additional-sand-frosted-base - Design's the Limit Exclusive SAND FROSTED BASE service provides a Frosted Base for Any Glassware Purchase in Our Etsy Shop. Sand-Frosting the Base increases the aesthetical appeal and provides additional grip. We can sand-frost the base of any stemless glassware. FOR ITEMS PROVIDED FOR PERSONALIZATION INCLUDING CRYSTAL STEMWARE: If you would prefer to purchase items and provide them for personalization, we offer artistic sandblasting services to complete your order which may be purchased at the following link. The deep sandcarving option including colorfill is not available on all items and dependent on thickness of the canvas available. For items provided to Design's the Limit by others and when the cost of the product is not included in the purchase, Design's the Limit accepts no responsibility for items provided while in our possession and encourages customer's to purchase the items we have available whenever possible. We offer the additional service on request with the customer's understanding of our policies and at their discretion, but can not be held liable in the event the item can not be completed and provided, but once an additional item can be provided, the order will be completed without additional charge. For other sandblasted or sandfrosted variations available including sand-blasting the foot of our stemware, sand-frosting the entire glass, including a design in the clear glass and sand-frosting the rest of the exterior, or any other requests click 'Request a Custom Order and Have Something Made for You...' in combination with an inspired design commission, we can create a piece of artwork inspired by your request on any canvas we have available and more! We accept commissions for artwork online with international shipping! We can design for any ideas you have in mind! It is the customers sole responsibility to submit and handle shipping claims directly with the shipping provider unless additional shipping insurance is purchased and included prior to shipment. If you have any concerns about receiving your package, would like to include shipping insurance, would like signature confirmation, or need to specify a particular shipping provider, please message us so we can better assist you. INTERNATIONAL SHIPPING REQUESTS: Design's the Limit offers calculated worldwide shipping options on all of our listings, but it is the customers sole responsibility to handle shipping claims, import duties, fines, and fees. We accept no responsibility for your order once it has left the USA and encourage our customers to be familiar with the laws and regulations in the country to which you are having your order shipped prior to placing your order. HOLD-HARMLESS: We encourage responsible enjoyment and recommend handling glassware with care. Due to the nature of the products and services we sell, we do not offer a warranty. All customers agree to read, understand, and accept our shop policies and the listed information before making a purchase and accept full responsibility for the products purchased agreeing to hold Design's the Limit harmless to the full extent allowable by law. MATERIALS: The original canvas manufacturers do not accept any liability for products which are altered and we do not accept any liability for the product canvas selected, only the artistic services provided. Customer's understand the nature of artwork and commissioning artistic services and accept the unique nature of made to order gifts available in our shop. PRODUCT VARIATIONS: Variations are to be appreciated for the unique appeal, customers assume all risk and responsibility for the products purchased. 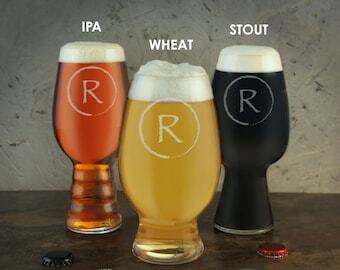 Our glassware is permanently engraved, etched, and/or carved. Our designs will not wash off and glassware may be cleaned in a dishwasher although we recommend hand washing as the preferred method. Please note that minor imperfections, flow lines, distortions, wood grain, knots, flaws, bleeding, or bumps are inherent to the nature of the products and are not considered defects. We embrace and encourage others to understand and appreciate the nature of the product canvas we use and appreciate the unique qualities and characteristics of the materials. Once personalized our products are non-refundable. Design's the Limit asks all of our customers to handle with care. We reserve the right to use our artistic judgment when completing orders, to refuse business to anyone for obscene or unprofessional requests, and to offer our artistic services in the manner in which we prefer as independent artists and entrepreneurs. All customers agree to read, understand, and accept our shop policies prior to purchase. Customer's are responsible for compliance with Federal, State, and Local laws within the USA or to any country to which they would like to have their order shipped. All customers agree to handle the artwork they purchase in our shop with care, in a responsible environment, and agree to hold Design's the Limit harmless to the full extent allowable by law for the artistic services we provide. Thank you for shopping small and supporting the arts, message us if you have any questions about our shop, products, services, or for any concerns. CONTACT US: We make every effort to respond to every conversation in a timely manner and recommend use of the Etsy Messaging System. Please click "Contact the Shop Owner" on our homepage or click "Request a Custom Order......" from any listing. Design's the Limit asks all of our Etsy customers to contact us before you make a purchase if you have any questions about our shop or any of the products or gift services we provide. We look forward to working with you and feel honored to be a part of our customer's happiest gift giving moments around the world. We specialize in orders large and small with a variety of product and delivery options. We ship with USPS, UPS, FedEx, and LTL Shipping providers on a regular basis and can provide private listings for any combination of the products and services we provide including bulk orders. Request a Custom Order so we can discuss the possibilities, we look forward to hearing from you. Are Proofs Available Before Completion of My Order? Yes, we are happy to submit our designs for your approval before completing your order, all you have to do is ask. You may request a proof in any combination, variation, or number from our available designs and using our available fonts. Please include your request for a proof in the notes during checkout with your information. Unless you request a proof at the time of purchase, Design's the Limit will use creative license to complete your order using the information available. If you request a proof at the time of purchase, we will submit our design before completing your order. Where do I put the information for engraving my order? Once you have added a listing or any combination of listings from our shop to your shopping cart and before completing checkout, a small text box is provided where you can enter a Note to Seller. Click "Request a Custom Order and Have Something Made for You!" buttton located under the main product image on a PC or Click "Ask a Question" on other devices. We can reference your username with your order to confirm the information submitted and to submit a proof before completing your order on request. You can add multiple listings including products and additional services from our shop to your cart with calculated shipping. Although you can contact us directly through email or call us, once an order has been placed we will send communication in reference to your order through the Etsy messaging system. We make every attempt to respond to conversations on Etsy in a timely manner and encourage use of the Etsy messaging system as the primary means of communication for your personalized gift purchases in our shop. As sellers on Etsy, we are only provided with your screen name, your email address, and the address you enter as the shipping address when you place an order and we respect your privacy. If we do not receive a response, your order may be placed on hold indefinitely or completed with the information available. We look forward to messaging with you. Design's the Limit makes every effort to ensure that your product arrives safely, but occasionally shipping damage does occur. We experience an extremely low rate of shipping damage and do not include additional shipping insurance unless purchased seperately. We only handle the shipping claims if additional shipping insurance is included at the time of purchase or prior to shipment. It is the customers sole responsibility to add shipping insurance if they have any concerns and to submit or handle shipping claims directly with the shipping provider unless additional insurance is included before the order has been completed and shipped. How fast can my order be completed and delivered? Add our rush order listing to your cart and select either USPS Priority Mail 2-3 days or USPS Priority Mail Express 1-2 days as needed. Completion time for each product and quantity purchased varies and completion time is not guaranteed, but rush orders are moved to the front of all standards orders and completed as quickly as possible without sacrificing quality. We also offer a printable gift option which includes the added benefit of giving the gift recipient the ability to choose the design and font combination which they prefer and which can be emailed without delay for no additional charge. 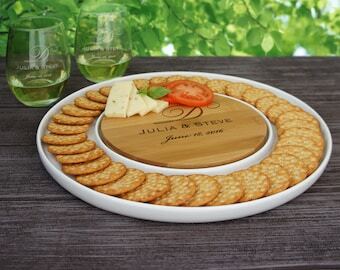 We offer personalized gifts with professional gift services for any gift giving occasion!